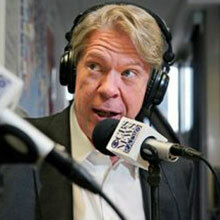 Major Garrett was named CBS News’ Chief White House Correspondent in November 2012. As Chief White House Correspondent, Garrett reports for all CBS News broadcasts and platforms. Garrett is also the host of “The Takeout,” a weekly podcast about politics, policy and pop culture. While covering the White House for CBS News, Garrett reported extensively on presidential actions to confront ISIS, Ebola, nuclear negotiations with Iran and U.S.-European efforts to confront Russia in the standoff over Ukraine. On domestic issues, Garrett reported on the administration’s handling of the health care website rollout, numerous policy failures at the Veterans Administration and the president’s ongoing efforts in 2014 to address racial strife and criminal justice reform. He has traveled with the president to Asia, Europe and the Middle East. Before joining CBS News as Chief White House Correspondent, Garrett was a fixture during CBS News’ coverage of Campaign 2012 through a partnership with the National Journal, where he was Chief White House Correspondent. He co-hosted the network’s coverage of the 2011 South Carolina Republican Primary debate alongside “CBS Evening News” Anchor and Managing Editor Scott Pelley and offered analysis for every 2012 general election presidential debate. Prior to National Journal, Garrett was the Chief White House Correspondent for Fox News. During his eight years at Fox, Garrett also covered two presidential elections, Congress, the war in Iraq and other major stories. Before joining Fox News, Garrett was a White House correspondent for CNN during the administrations of George W. Bush and Bill Clinton. Previously, he was a senior editor and congressional correspondent for U.S. News and World Report, where he reported on Congress and the impeachment of President Clinton. He was a congressional reporter for The Washington Times (1990-95) and the newspaper’s deputy national editor (1995-97). Earlier in his career, Garrett was a reporter for The Houston Post, Las Vegas Review-Journal and the Amarillo Globe-News. Garrett is the author of three books: “Common Cents,” with former Rep. Tim Penny (D-Minn.), Little, Brown Publisher, 1995; “The 15 Biggest Lies in Politics,” St. Martin’s 1999; “The Enduring Revolution,” Crown Forum 2005. Garrett was graduated in 1984 from the University of Missouri with degrees in journalism and political science. A native of San Diego, Calif., he lives in Washington, D.C.